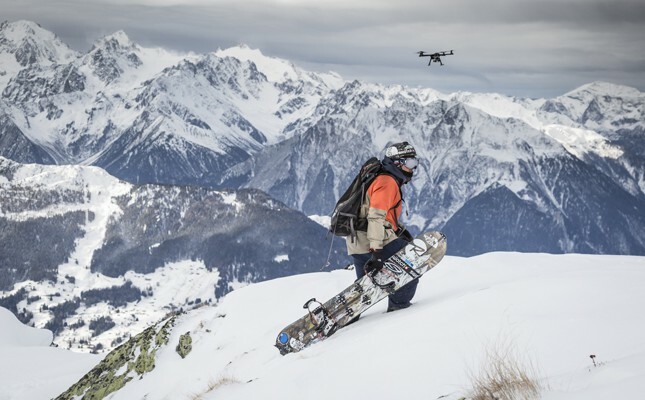 Hexo+ is an American manufactured self-flying camera that allows you to capture the best aerial footage in the middle of the action. The device follows and films whatever you want with just your smartphone and direct it where you need it. With Big Apple Buddy’s personal shopping service, you can now buy direct from the Hexo+ online store anytime, anywhere. The Hexo+ camera takes the most amazing aerial footage. 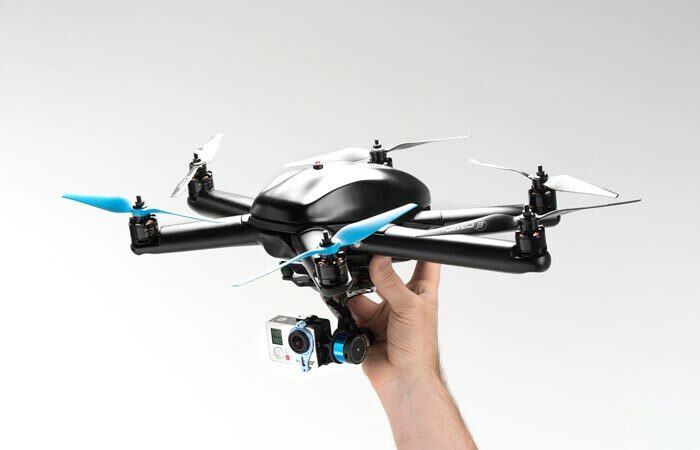 There are numerous camera movements from 360°, Slide In, Slide Out, Fly In, Fly Out, and many more! It's like having your own personal camera crew to follow you around, capturing your best moments from every angle but you can take the Hexo+ anywhere. You don't have to limit your adventures ever again! With the Hexo+ you can collect and share your videos with your friends and family so they feel like they were there with you! Designed by movie makers and directors, the Hexo+ technology optimizes your footage so that you can tell your best stories in motion. Best of all, the camera is extremely durable and can withstand any situation, climate or otherwise, that you find yourself in. Do you ever wonder what a bird's eye view looks like? With the Hexo+, you'll be able to experience your own videos like never before. It's simple to carry - just strap it on like a backpack, remove the propellers if needed, and go out to explore! Going up to 70 km/h, this camera will have no problem keeping up with you wherever your adventure takes you. Unfortunately, the USA Hexo+ online store does not currently offer international shipping. However, Big Apple Buddy, your personal shopper, can help you buy products direct from the official USA Hexo+ online store and ship them to your doorstep, no matter where you are in the world. We offer international shipping to over 110 countries including Australia, Austria, Azerbaijan, Bahrain, Belgium, British Virgin Islands, Brunei, Bulgaria, Canada, Chile, Costa Rica, Croatia, Czech Republic, Denmark, Estonia, Fiji, Finland, France, French Polynesia, Germany, Gibraltar, Greece, Greenland, Hong Kong, Hungary, Iceland, Indonesia, Ireland, Israel, Italy, Japan, Jordan, Kuwait, Latvia, Liechtenstein, Lithuania, Luxembourg, Macau, Malaysia, Maldives, Malta, Marshall Islands, Mauritius, Monaco, the Netherlands, Netherland Antilles, New Zealand, Norway, Oman, Poland, Qatar, Romania, San Marino, Saudi Arabia, Serbia and Montenegro, Seychelles, Singapore, Slovak Republic, Slovenia, Spain, South Africa, St. Lucia, Sweden, Switzerland, Taiwan, Thailand, the UAE, the UK, Vatican City, and Vietnam. If you would like to buy from the USA Hexo+ online store, simply let us know which items you would like to order (by filling out the form below) and we’ll get back to you with a free international shipping quote within 24 hours!